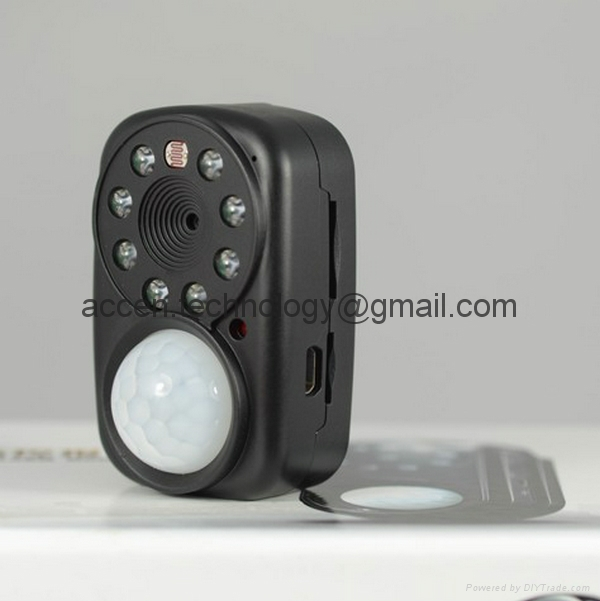 Human body detection burglar alarm DV is an enhanced family-based theft protect alarm that we introduce grandly to the market in 2013, and it has the best performance-price ratio among current family-based burglar alarms, after technical breakthrough in all aspects, the product is much humanized and easy to operate. The product is processed under strict quality control, following the tenets of our company, we provide a burglar alarm which keep users who have higher quality requirements on theft protection comfortable and out of worries. This product is installed with original chips from Japan and has functions of real-time monitoring, single recording, MMS monitoring and so on. With characteristics of small size, stable performance, simple operation and fine appearance. This product is an ideal selection for families, vehicles, storages, villas, ships, workshops, gardens, offices and the like, and it is not like faked products in market whose quality cannot be guaranteed due to low-quality chips and low costs. Warning: When the electric charge of the alarm is inadequate (below 5%), please charge it in time. If the battery is kept in lack of electricity for a long time, the deep discharge of the battery will be influenced, which will affect the performance and service life of the battery, if serious, it will fail to charge or discharge. If the alarm is kept unused, just charge the battery to 60%-80%, and keep its power off; when the alarm is stored or not used for a long time (three months), please charge the alarm regularly so as to protect the battery. 3. Insert mini TF card, then insert GSM card into the SIM slot, at the moment, the green light will turn on, lasting 6s before lighting off, and the product will be ready to work. In case of camera shot, just insert TF card into TF slot (Note: TF Scope: 1G-32G) Close-down, take GSM card out of the slot. 4. Set main control number: write 000 in SMS and send to this product, after receiving, it will reply Welcome touse edog your number (mobile phone number of the user) has bind success!, and other numbers will not operate the product. A. MMS video feedback: write 111 in a SMS and send to this product, the product will record a 6-10s video about 95k and send to main control mobile phone. C. MMS Photo Feedback and 30S Video Recorded: Write 211 in a SMS and send to this product, then the product will send a MMS photo to main control mobile phone, and record a 30s vide to store in TF card. D. Human body induction photo-taken and Videotape started: write 661 in a SMS and send to this product, the human body induction will start, then the product will reply lrda is start, when there is body or object moving around the product, it will take photos automatically, with MMS feedback to main control mobile phone, and record 30s video as a file, if the storage card is inadequate, the earliest video and photo will be deleted automatically. While recording, if a new order is given, the new order will be executed, and continue after completion of it. E. Human body induction photo-taking with videotape closed: write 662 in a SMS and send to this product to cancel the human body induction, then the product will rely lrda is stop. 6. Recording and Videotape: Write 222 in a SMS and send to this product, the product will record the optimal image quality and save it in TF card, before videotaping, it will reply video record is beginning! pease send 333 tostop it later! To the user, and videotape with command. 7. Record and Videotape Stopped: Write 333 in a SMS and send to this product, or receive other SMS or command for stop from the user for stop, and it will reply video record save!. 8. Singe record: Write 555 in a SMS and send to this product to record with the reply sound record is beginning pease send 666 to stop it later. Stop recording, write 666 in a SMS and send to this product, it will stop record and save, with the reply sound record save. 9. GPRS Orientation: Write DW in a SMS and send to this product, and the product will reply its current position. 10. Manual Record and Videotape: Press up Manual Videotape key for videotaping, press down to stop and save in TF card.